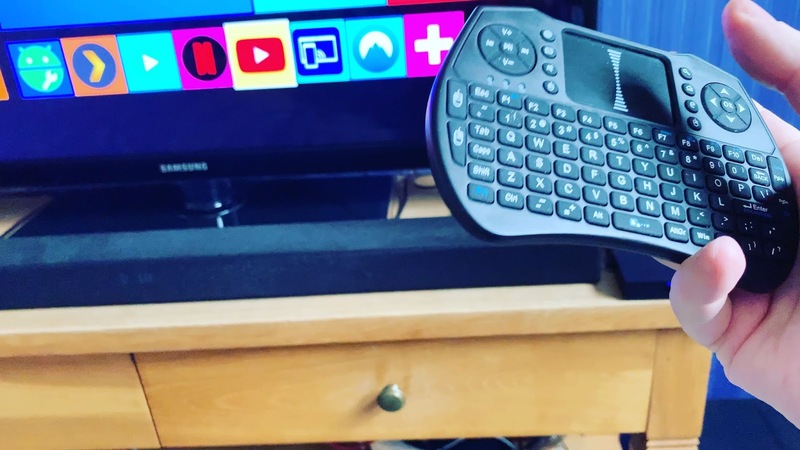 Here is my review of Alfawise T9 Android TV Box and Alfawise A8 Wireless Keyboard Fly Air Mouse - Night Style II from GearBest. This TV Box is running on Android 8.1, and has 4GB of RAM, quad-core CPU and 32GB of storage. Personally I think all those things is enough for what I use it for. I use it to watch movies and listen to music from my Plex server and Emby server. Netflix works great too, but the Netflix app needs a mouse, so the remote that comes with the TV Box won't do. The Alfawise A8 wireless keyboard works great with Netflix though. The remote control that comes with the box has quite great reach. I can easily use it when relaxing in the bed. The Alfawise A8 wireless keyboard beats it when it comes to usefulness though. The only thing that it can't do is to turn the TV Box on or off. Not what I can find at least. So for that you need the remote control that came in the box. The Alfawise T9 Android TV Box can play 4K videos in 30FPS on Youtube, but have some problems with videos like my own in 4K with 60FPS. So the video play could have been a tiny bit better. All in all, this is a great Android TV Box and wireless keyboard.